“Dance is the expression of the soul within - free and emotional moves that contains details reveal one’s feelings and reflections of the music.” – Christine Cheung. 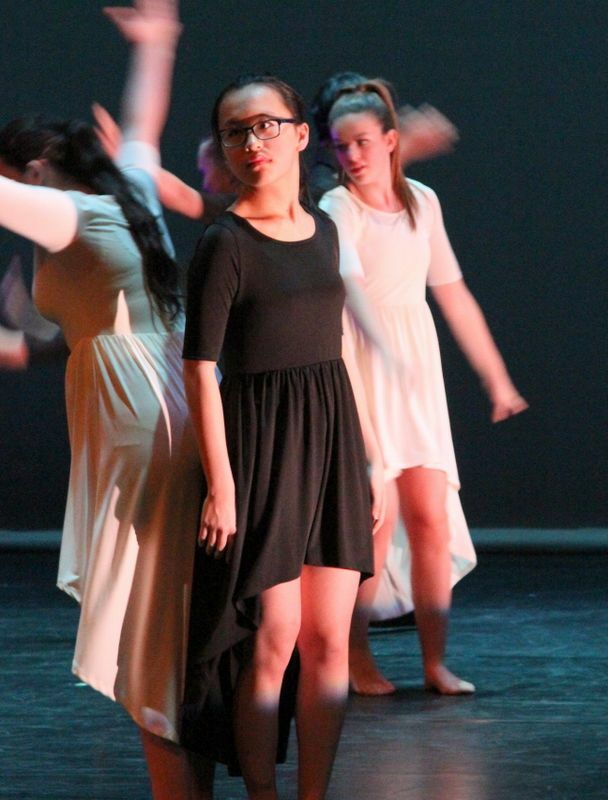 Skilled in multiple mediums of art from a young age, Christine Cheung has pursued her passion for dance early in her life. While growing up in China, she was heavily involved with ballet; however, after moving to Canada and attending a dance camp with fellow youth dancers, she was exposed to Hip Hop contemporary dance. The atmosphere and the structural rhythm of hip-hop resonated with her, eventually developing into her principal style of dance. Christine is currently an accomplished hip-hop dancer, performing with various dance troops. Practising over five hours a week, despite a hectic academic roster, Christine is a dedicated dancer. As one of the premier hip-hop crew members, she leads her group across the stage during the annual student choreography and spring dance shows. Additionally, she has graced the stage at the “Bloodless” and “Stolen Dance” performances. With an ever-burgeoning passion for dance, Christine hopes to pursue hip-hop after high school, by joining dance clubs and crews. Her current goal is to attend the prestigious and famous dance camp “Urban Dance” in Germany. The Urban Dance Camp is the world's leading dance intensive education workshop, which welcomes top tier dancers from around the globe. With Collingwood’s Annual Spring Dance show on the horizon, Christine will undoubtedly shine on stage, captivating the audience’s attention. With two marvelous hip–hop pieces on the roster, we wish her the best of luck with her partners Chloe and Jeffrey.